Chrysler's Uconnect infotainment system is among the best on the market, and it's even easier to use than competing systems like MyFord Touch/SYNC or Cadillac's CUE. The 2015 Chrysler 300 adds more style, features, and efficiency to an already confident, capable large family sedan. With its parent company now merged with Fiat to become Fiat Chrysler Automobiles (FCA), the Chrysler brand is free to transform itself somewhat, and that’s exactly what it’s aiming to do, starting with the new Chrysler 200 and 300. The 2015 Chrysler 300 picks up where the smaller 200 left off as Chrysler shifts from near-premium to mainstream in its market positioning, taking on the likes of Honda, Toyota, Nissan, GM, and Ford, each of which offers a very competitive large sedan. For the 2015 model year, Chrysler has completely redesigned the front and rear ends of the 300, but without changing any of the actual sheetmetal that defines the car’s shape. Despite the subtle change, the impact on the look is significant, with a larger, redesigned grille, new lighting options, and a more elegant lower air dam combining to create a fresher, more refined face. The remainder of the car continues to carry the swagger and presence that have made the car so attractive in recent years. The interior of the 2015 Chrysler 300 is new, too. A redesigned steering wheel, instrument panel, and, with the 300C Platinum, a unique two-tone leather upholstery treatment, among other upgrades. A rotary shift knob controls the TorqueFlite eight-speed automatic transmission, which is now standard for both V-6 and V-8 models across the 300 line. All models get a standard 7-inch full-color display in front of the driver, as well. Four core models make up the 2015 Chrysler 300 line, ranging from a well-equipped mainstream full-size sedan in the 300 Limited to the luxurious 300C Platinum. The 300S offers a sportier alternative for the younger crowd, while the 300C balances on a near-luxury beam. Thanks to the eight-speed automatic transmission now being paired with the 5.7-liter V-8 engine, the 2015 300 is up to 6 percent more efficient. Models equipped with the 3.6-liter V-6 Pentastar engine continue to offer up to 31 mpg highway, a figure Chrysler says is best in class. On the performance front, the 3.6-liter Pentastar V-6 is easily up to the task of accelerating the large 300. With 292 horsepower on tap, the V-6 is strong, willing, and even when pushed, smooth. 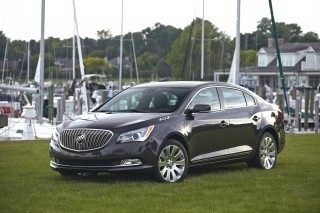 Opt for the 300S model and you’ll get a slight performance enhancement to 300 hp thanks to a cold-air intake. If you prefer yet more horsepower, opting for a V-8 model (available in the 300S and 300C lines) brings output up to 363 hp from a 5.7-liter HEMI V-8. Together with the new eight-speed transmission pairing, the HEMI can scoot the large 300 to 60 mph in just 5.8 seconds, an improvement of 0.2 seconds over last year’s V-8 models fitted with a five-speed automatic. Handling in the 300, 300S, and 300C is more about comfort and ride quality than performance—this is, after all, a large sedan. When the road turns twisty, the driver will feel the 300’s size, although the standard electric power steering makes light work of taking the turns. At the same time, the 300 is composed and well-sorted enough to cruise at a fair pace; just don’t push hard enough to ruffle any feathers. For those who just insist on driving harder, however, there are a pair of “Sport” modes in 300S models and V-8-equipped 300C versions: one on the rotary gear selector, and another button on the dash. The “S” mode on the rotary gear selector engages more aggressive accelerator behavior, engine response, transmission shifts, and permanent paddle-shift mode; pushing the “Sport” button on the dash adds sport-tuned steering effort, temporary paddle-shift mode, and the same engine, transmission, and pedal tweaks as the “S” mode. Seating, likewise, is geared toward comfort, whether you’re in the front or rear seats: supportive bolsters, firm-but-compliant cushions, ample adjustability. Headroom is spacious, and though the rear can be tight on leg room for taller passengers, the 300’s exterior size largely translates into the same inside: plenty of space for people and things. There’s even plenty of trunk space. Official crash test ratings for the 2015 Chrysler 300 haven’t been released yet, but the structurally identical 2014 model scored five stars overall from the NHTSA (National Highway Traffic Safety Administration), and top marks of “Good” in all tested categories by the IIHS (Insurance Institute for Highway Safety). A host of new or improved technology, including safety features, is also available in the 2015 Chrysler 300, including: Adaptive Cruise Control-Plus with Full Stop, which now allows the computer to bring the car completely to a stop in traffic; a new Lane Departure Warning with Lane Keep Assist leverages the electric power steering to gently nudge the car back into its lane; and the emergency calling service now directly connects the vehicle’s occupants to emergency services with a button push, using the vehicle’s data connection via the Uconnect Access system. The 2015 Chrysler 300 gains a fresh face and retains its strong, American presence. Swagger, presence, boldness—whatever you want to call it, the 2015 Chrysler 300 has it. With a new face and slightly redesigned rear end, the 2015 Chrysler 300 sharpens up its look with a slightly less-flashy, more buttoned-down look. At the nose, the primary changes are the slightly larger grille, which now bears a different mesh-type pattern, a redesigned lower air dam area (available with chrome accents or black surrounds, depending on the model chosen), and fresh LED fog lamps that provide a consistent white color temperature at the front. New LED tail lamps with an illuminated halo provide a fresh appearance, while the reshaped rear bumper face offers sleeker lines for a slightly lighter look. The profile remains the square-shouldered, brawny, yet sleek look it has been since 2012’s redesign, though the 300S gets unique side sills for a slightly more athletic appearance. Inside, the cabin’s look is all about smooth curves and organic shapes. At the base level, it’s primarily black plastic; ramp up to the top-tier 300C Platinum and materials and style go up accordingly, too, with a two-tone leather upholstery finish available, as well as hand-sanded, open-pore wood trim, metallic accents, and more. The 2015 Chrysler 300 might be big enough to make you want a V-8, but the V-6 is all you’ll need. There’s no doubting the 2015 Chrysler 300’s size is a big draw for both its appearance and its comfort, but when it comes to performance, it places certain limitations on the car—but those limitations aren’t related to offering ample power. That big-car feel can be charming, after all, including the body roll and soft heaving motions of acceleration and braking. For the 300 Limited and 300C, including the 300C Platinum, these descriptions are accurate—but not accusations. 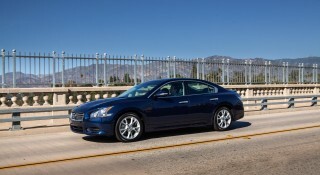 The 300 drives like a big American sedan should: stably, confidently, and well—it just doesn’t handle like a sports car. For those requiring a little more edge, there’s the 300S. 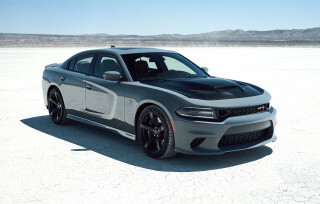 Again, it drives like a big car, even with the aid of the electronic sport modes, but especially when equipped with the 363-horsepower 5.7-liter HEMI V-8 engine, the 300S is a quick, fun-to-drive big car. Zero to 60 mph runs take just 5.8 seconds, a savings of 0.2 seconds over last year’s model, thanks to the now-standard eight-speed automatic transmission. The 300 Limited, base 300S, and 300C get 3.6-liter Pentastar V-6, rated at 292 horsepower (or 300 hp in the 300S, thanks to a cold air intake and performance exhaust) as standard equipment. Although it’s not as powerful as the optional V-8 engine, the V-6 still hustles the large 300 along just fine—whether accelerating onto the freeway or passing on a rural two-lane. While rear-wheel drive is the standard for the Chrysler 300 line, all-wheel-drive is available. The AWD system offers a complete axle-disconnect system to reduce parasitic drag and friction losses when the extra traction isn’t needed for power delivery. A pair of “sport” modes also sharpens up performance in the 300 range (available on 300S, 300C with V-8, and 300C Platinum). The “S” mode on the rotary shift selector engages sport-tuned engine, transmission, throttle, and paddle-shift settings; the “Sport” button on the dash separately engages those same functions, but adds sport-tuned steering, as well as turning on the AWD function (if equipped) and enabling rear-biased torque distribution for the AWD system. Both the “S” gear selection and “Sport” button cut shift times for the eight-speed automatic transmission down to just 250 milliseconds from the standard 400 milliseconds. Luxurious, refined, quiet, and comfortable, the 2015 Chrysler 300 is no pretender—it’s the real deal. 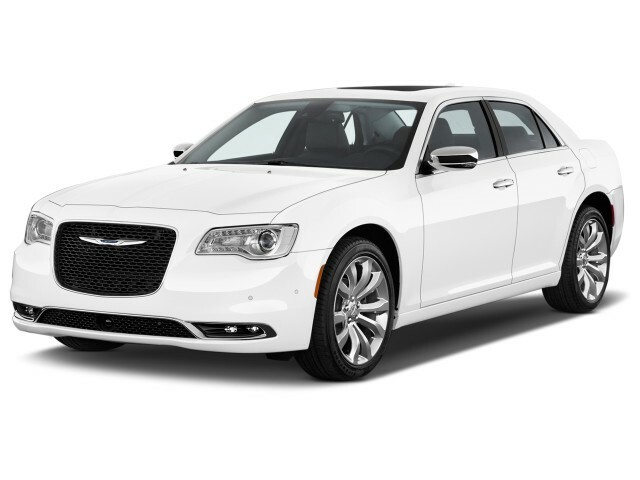 Leaps and bounds ahead of its original incarnation, the 2015 Chrysler 300 is a quiet, comfortable, well-constructed car with just enough engine, road, and wind noise to keep you connected with the road. Cupholders are, as you’d expect of a large American sedan, plentiful and well-sized; elsewhere in the cabin there’s plenty of space for your stuff, including a bin ahead of the rotary shifter, molded-in bottle holders in the doors, and a 16.2-cubic-foot trunk. Seats are likewise suited to American tastes: they’re large, supportive, and, for front seat passengers, highly adjustable. Head and leg room are also great in the front row. Rear-seat passengers will find the seats themselves comfy, but taller occupants may come up a touch short on leg room. While the interior of the 300’s new cabin looks more high-tech than ever, it’s also quite well-assembled, with good fit and nice materials finishes throughout—aside from the occasional expanse of hard, hollow plastic in lower-trim models. The rubberized material of the dash looks and feels pleasant, though we have noticed it has a tendency to attract and collect lint as a result of its slightly gummy feel. The 2015 Chrysler 300 has all of the right makings for a top-notch safety choice. The 2015 Chrysler 300 hasn’t been crash tested by the NHTSA (National Highway Traffic Safety Administration) or the IIHS (Insurance Institute for Highway Safety), but the essentially identical 2014 model scored five stars per NHTSA and “Good” according to the IIHS. The 2015 model builds on the previous model’s strong crash structure and safety feature set with more advanced available safety equipment, including the ability to come to a complete stop using the Adaptive Cruise Control system. 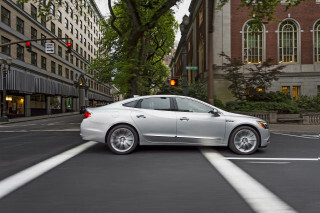 A Lane Departure Warning with Lane Keep Assist system leverages the electric power steering control to nudge the car gently back into its lane when necessary. The Uconnect Access system can even directly connect the vehicle’s occupants with emergency services with a single button press, using the car’s existing data connection. Visibility in the 2015 Chrysler 300 is quite good in all directions, thanks to narrowed roof supports. 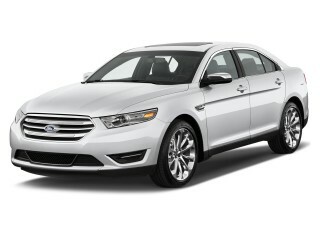 Standard safety equipment includes: Hill Start Assist, Ready Alert Braking and Rain Brake Support. On higher trims, you can get a SafetyTec option package that includes adaptive cruise control, blind-spot monitors, a forward-collision warning system, rear fog lamps, and power-folding exterior mirrors. From tech to sport to luxury, there’s something for everyone in the 2015 Chrysler 300 line. The 2015 Chrysler 300 comes in a range of trims and lines, bootstrapping up from the well-equipped entry-level 300 Limited to the luxurious and high-tech loaded 300C Platinum. Starting with the 300 Limited, standard features include LED daytime running lights, push-button start, keyless entry, a power driver seat, power windows/locks/mirrors, cloth upholstery dual-zone climate control, satellite radio, a USB port, and an 8.4-inch LCD touchscreen display. Opt for the sportier 300S and you’ll get the 300 Limited’s features, plus leather front seats, shift paddles, performance tires, and piano black trim, as well as unique exterior styling upgrades. The 300C Platinum takes the luxury a notch higher with Nappa leather, hand-sanded open-pore wood, Poltrona-Frau leather-wrapped instrument panel, and unique satin-finish “platinum chrome” trim and 20-inch alloy wheels. New features for 2015 include Connect Via Mobile, which lets users stream their favorite Internet radio channels over the audio system via the user’s mobile data plan, including support for Pandora, Slacker, iHeartRadio, and Aha by Harman. All models also get a standard 7-inch full-color information display in the instrument panel, the rotary transmission shifter, and Chrysler’s new three-spoke steering wheel. The V-6 versions of the 2015 Chrysler 300 are remarkably fuel efficient in a car this size. 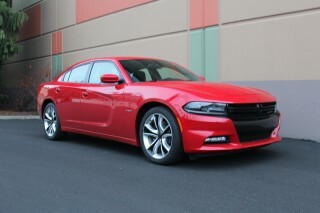 Despite its large size and hefty curb weight, the 2015 Chrysler 300 is remarkably light on its feet, at least in V-6 form. According to the EPA, the V-6 300 rates 19 mpg city, 31 mpg highway, and 23 mpg combined—figures Chrysler claims are class-leading. 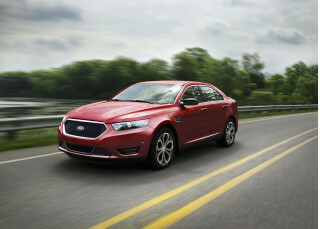 Add all-wheel-drive to the mix and those figure slip just slightly to 18 mpg city, 27 mpg highway, and 21 mpg combined. 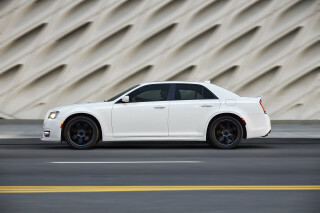 The V-8-powered versions of the 2015 Chrysler 300 also get a slight uptick in efficiency this year, thanks to an upgrade to the eight-speed TorqueFlite automatic transmission, though that improvement doesn't reflect in the EPA ratings: V-8 models rate 16 mpg city, 19 mpg combined, and 25 mpg highway per the EPA, the same as last year. Have driven at least 10 over a period of years as a company car so when I retired I bought one for myself! An outstanding car which is under rated in South Africa and is perceived by many to be a gas guzzler. Around town (stop/start)I get an average of 14.5litres/100km and on the open road travelling at 120/130... An outstanding car which is under rated in South Africa and is perceived by many to be a gas guzzler. Around town (stop/start)I get an average of 14.5litres/100km and on the open road travelling at 120/130 km/hr I get an incredible 8.8 litres/100km. This is great consumption for a 3.6 litre gasoline engine. 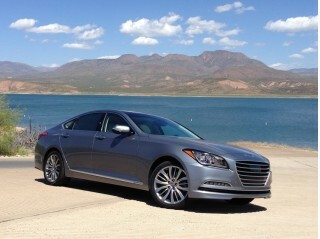 The car is extremely quiet and holds the road beautifully without wallowing on corners.